L 2000 x 1666px 8 Mb. XL 3861 x 3217px 15 Mb. 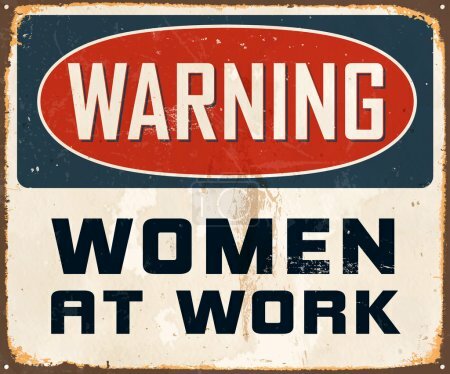 Vintage Metal Sign - Warning Women At Work - Vector EPS10. Grunge effects can be easily removed for a cleaner look.